It’s no easy feat to hold an effective webinar that keeps participants engaged and not distracted by what’s on their desks or watching the clock to see how long until it’s over. The key to a must-see and stay event is adapting your presentation to the webinar environment. These 8 tips will help you hook and keep an audience. Depending on how you set up the webinar, attendees may not see you right away or at all during the presentation. Start with a welcome slide that includes your head-shot and that of anyone assisting you. Label the photos with names and titles. Those listening will be more engaged if they can put a face to the voice. It’s hard for webinar participants to get excited with an unfocused, broad topic, no matter how thoroughly you cover the subject. Attendees are much more likely to be pulled into your webinar and stay with you when the topic pinpoints a particular concern or walks them through how to accomplish a certain task. Webinar organizers sometimes get so caught up in the logistics and mechanics of the webinar that they forget the importance of content. Superior graphics alone won’t keep participants engaged. Craft a presentation that persuades, inspires, educates or informs your attendees. The best way to do this is to consider that each of your viewers will ask himself or herself—what’s in it for me if I stick with this webinar? You want your attendees to obtain useful takeaways and feel satisfied that they stayed until the end. bulleted materials sparingly. A static list on the page while you drone on will cause participants to lose interest. Many online meetings make the mistake of either screeching through information so quickly that attendees have difficulty comprehending, or they repeat the same information so many times at tortoise speed that everyone but the speaker is asleep or gone by the end. Strike a balance and keep things exciting by providing just enough time in between points for attendees to take notes. Asking participants for their involvement during the webinar keeps their interest piqued. Starting at the beginning and throughout the online presentation, encourage interaction with attendees through on-line polls, quizzes and by opening up the floor for questions. Offer incentives for participation, such as raffle prizes. If the audience sees you presenting during the webinar, rather than giving a static impression by staying seated, introduce a dynamic element by getting up and walking around like you would in a face-to-face presentation. Practice might not make your webinar perfect, but it will make it engaging. 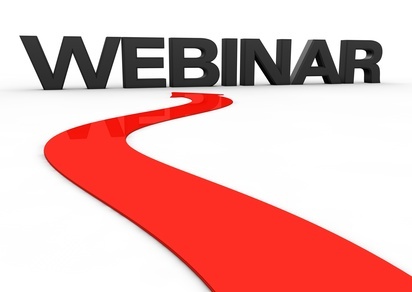 How do you keep your audiences interested and engaged throughout your webinars? Let us know in the comments.